See below for upcoming events, announcements, volunteering opportunities! Become a Member for the 2017-18 Fiscal Year! It’s still a great time to become a member! Working professionals and graduate students who majored in science, technology, engineering, and/or mathematics (STEM) are encouraged to join; however, those who did not receive a degree in a STEM field can join also. Join us for our first SHPEs and Salsa networking event of the season! Join us for some great conversation and get to know our board of directors and members. SHPEs and Salsa is SHPE Boston’s monthly networking event. This event provides an informal platform for engineering professionals around the Boston area to meet, share ideas and make connections. 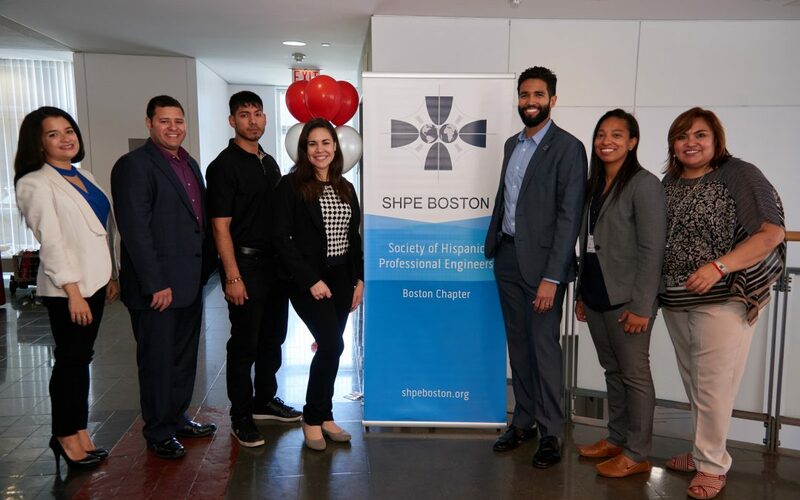 It also gives an opportunity for members to network with SHPE Boston’s leadership team. Join us and get to know SHPE Boston! NSBE Boston Professionals invites you to “Crucial Conversations“, this month’s Professional Development Meeting. This session aims to help attendees understand the details behind crucial conversations and how to affectively capitalize on it in their careers. The evening will also include an open session on career development through continuing education. Have lunch with an ​Angel investor or VC in a casual, no-pressure environment,​ discuss your business​, get meaningful feedback on your ideas, and make connections that will help you get to the next stage. The Society of Hispanic Professional Engineers (SHPE) is in advanced discussions to merge with MAES – Latinos in Science and Engineering. On November 4th, the organizations jointly announced at the SHPE 2017 National Conference in Kansas City, MO that they recently entered merger talks and expect to come to an agreement in the coming months. Check out our careers page for the most recent jobs around the Boston area from our sponsors and partners!